The Official 2019 White House Easter Eggs. New Vineyard-based Maine Wood Concepts has been chosen again to provide the official souvenir Easter eggs for the White House’s annual holiday celebration, Portland ABC television affiliate WMTW reported. 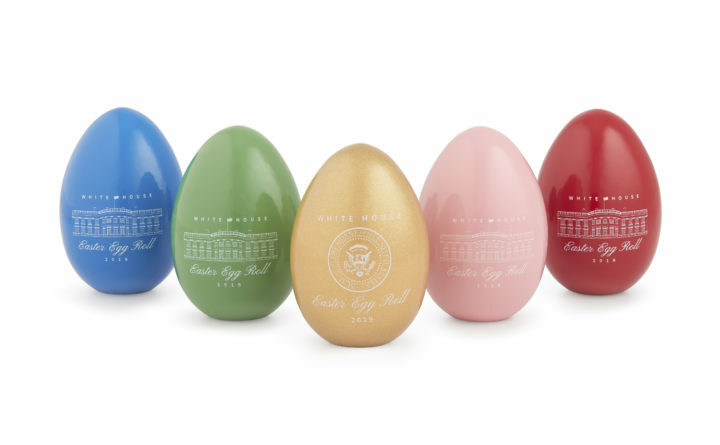 Maine Wood Concepts also produced 110,000 of the colorful wooden eggs, complete with presidential seal, for the White House’s 2018 Easter event, the most recent of several egg-making jobs for president over the last two decades. The 2019 White House Easter Egg Roll will take place on April 22 and be hosted by First Lady Melania Trump. The event will feature family activities for children and their families picked through a lottery. The tradition officially goes back to the presidency of Rutherford B. Hayes in 1878, but similar Easter events were held even earlier, including during the presidency of Abraham Lincoln, according to the White House. The Easter eggs are made with locally harvested white birch and are given out to participating children, and are sold online.